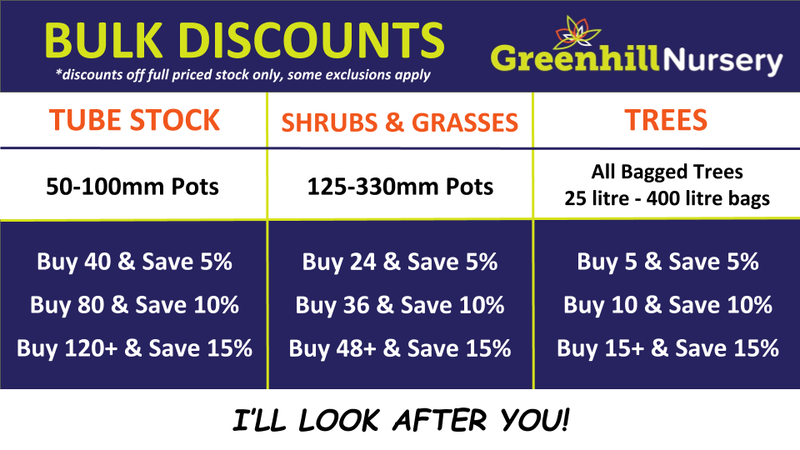 There’s no need to wait until the next sale to save at Greenhill Nursery! We offer a range of discounts to help make buying plants affordable year round, with particular focus on bulk quantities. If you’re a registered business or organisation involved in projects that require plants (eg. landscape gardeners, land developers, schools, local councils), we’d love to hear from you! Contact us to find out what discounts we can offer.